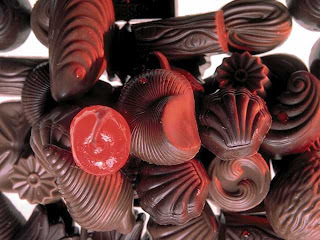 ... chocolates that tempt and torment, for instant gratification, and making bad days a tad better in a little sweet treat. ... a girlfriend who love chocolates, for sharing a common love, and maybe some freshly fried churros in warm milk and dark chocolate in spanish harlem. ... a girlfriend whose favourite and very contagious pet phrase of "oh my tian" and "no good piece of nonsense", for reminding me of the simple tickles in life with shared laughter. ... a girlfriend who loves everything and anything absolutely out of this world, "eww" and "yuck" people go, "acquired taste" we say, pointedly, with the brow in place. 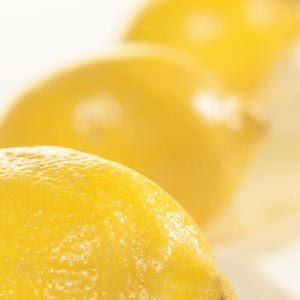 ... pulchritudinous lemons all lined up in a row, for that tangy zest of sourness that sends a shiver up my spine, and goosebumps down my epithelials, jolting and refreshing all my sleeping senses. ... the lovely combination of both my favourite treats that then sends my senses reeling, a heavenly delight of half and half, in a little plastic ben's and jerry's cup, our little secret. ... that girlfriend who is nothing but a bundle of cheer and blessings all rolled up into one, for making life that much easier to bear just by being, and by being around in those inconspicuous moments. Words could never really express it all, though to sum it up in the odd number of five, "thank you... i love you".